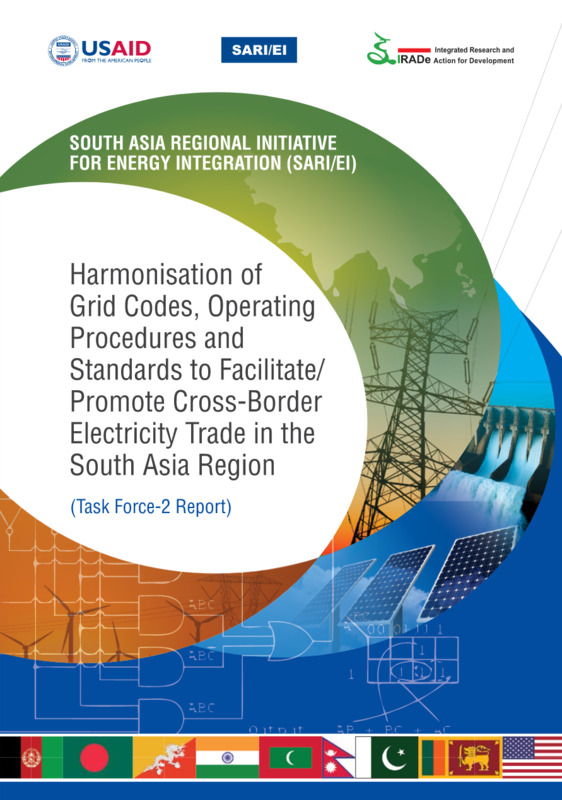 Harmonization of Grid codes, Operating procedures and Standards to facilitate/ promote Cross Border Electricity Trade in South Asia. The main objective of undertaking this study is to: a) Review of the Grid Codes of the respective South Asia nations covering procedures/codes/ standards such as Power system operating procedures, protection code, metering code, connection code, planning code, system security, demand estimation systems, outage planning, recovery procedures etc. b) Identify relevant provisions in each of the above documents operating procedures/ Grid codes and standards that have the potential to impact “cross border electricity trade”; and c) Suggest possible measures with necessary changes to be made in each of the above of the respective SA countries to facilitate/promote optimal and economic “cross border electricity trade” in the South Asia region and developing recommendations for necessary changes or additions required in the operation procedures/ Grid codes/ standards/ institutional structure etc. in respective South Asian countries.